Whangarei this morning, Kaitaia this afternoon. Starting to feel a bit journey lagged – is this how rock bands feel on tour!? 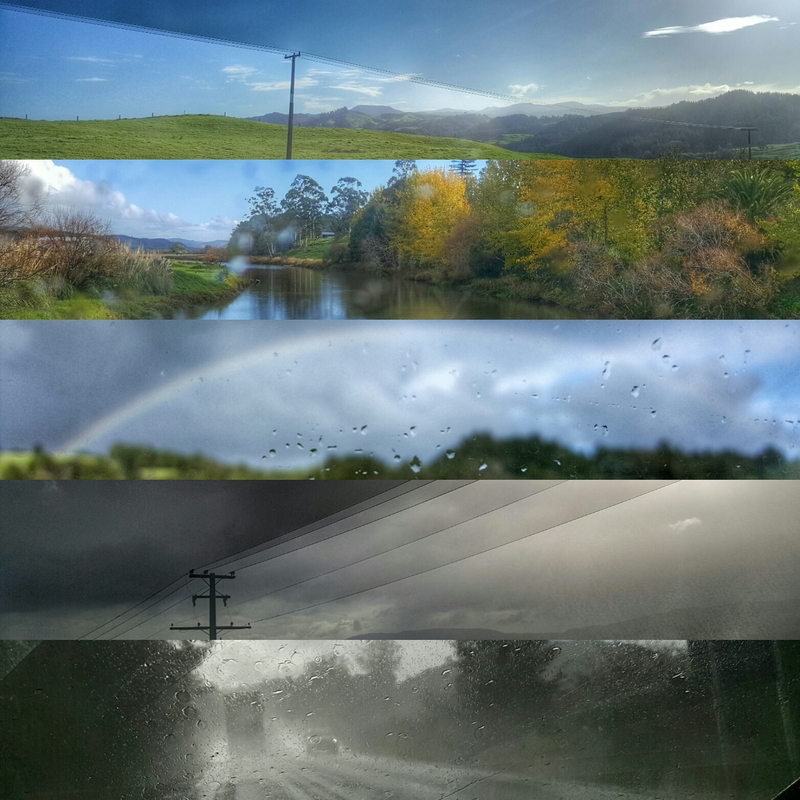 Not sure where I am… This is a collage of photos taken from the car on the road from Whangarei to Kaitaia… Sort of represents the instability/transience of my world just now.